Move the figures at the possible positions. Play logic board games to train thinking. 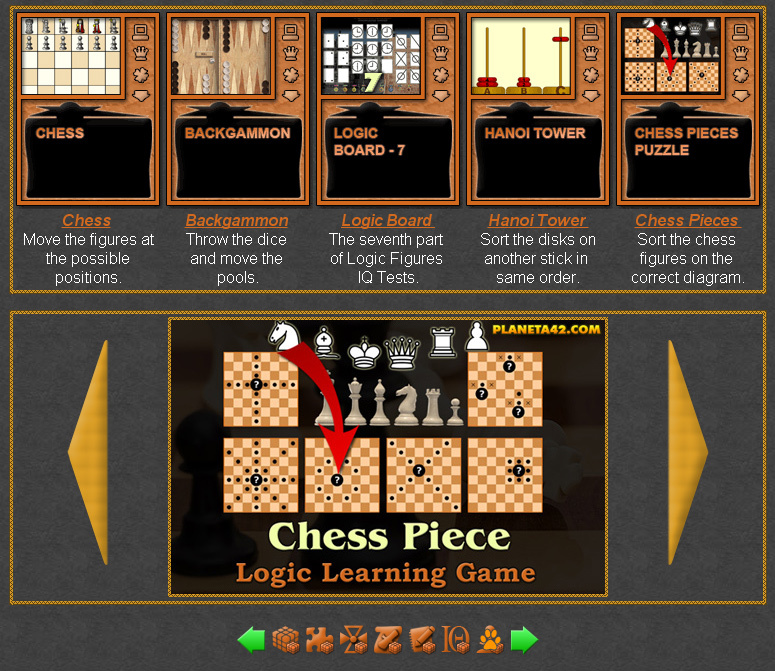 The logic board games category include classic logic games played on boards and remastered for a computer. Play free board games online to train the brain. Famous logic games. Fun Logic Board Games Collection. 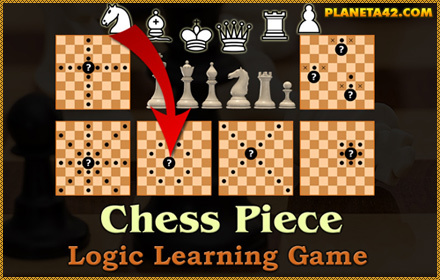 Chess - Play chess game online. Move the figures at the possible positions. Backgammon - Play backgammon game online. Throw the dice and move the pools. Towers of Hanoi - Sort the disks on another stick in same order. Move the rings to other side. Chess Pieces Puzzle - Sort the chess pieces on the correct diagram of allowed movements.